CNET has an interesting article about the goings-on at Netflix HQ over the last year. They managed to get a lot of inside sources to talk, and everything they report really rings true. 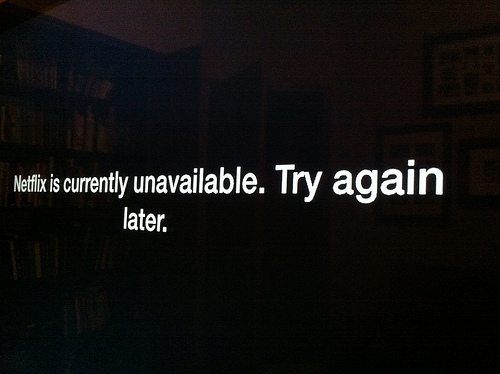 But at the same time, I can't entirely fault Netflix for its difficulties. Even though it's easy to hate on Reed Hastings (so easy!) it isn't all his fault. At least some of that blame has to be placed at the feet of the studios which are essentially holding Netflix hostage. There is one clear and obvious misunderstanding, though. Faced with declining revenue, Hastings had to do something. He decided to raise rates, figuring that "some customers would complain but that the number would be small and the anger would quickly fade." That's an understandable perception, since that is how it happens pretty much everywhere. Have you seen the price of a bottle of Coke these days? It's crazy! They hike up the price, we carp about it, then we go back to buying it. The higher price becomes the New Normal. But where Hastings went wrong here is in misunderstanding their audience. Netflix has always appealed primarily to nerds, and Hastings clearly had no idea what Nerd Rage is like. Nerd Rage can be triggered by the most ridiculous reasons - and a 60 percent price hike is certainly going to be considered serious by nerds, even if most of them are making $75,000 a year doing nerd things. And it's clear to everyone who can step back and look at the big picture that physical DVDs are on the way out. The only question is how long it will take to transition from physical media to almost exclusively digital and streaming media. I don't doubt that history will look back on Hastings with pity, as a guy who saw the future and acted accordingly - and got creamed for it, because people weren't ready. A bigger problem is that Netflix has lost the rights to stream content from Disney, Sony, and FOX. I know I am not the only one who has switched to the streaming-only plan, only to find that "there's no there there." The lack of content on the streaming side is a major factor in people wanting to keep the DVD side of the equation, at least for the near term.